„Sami Blood“ is a 2016 Swedish coming-of-age drama film written and directed by Amanda Kernell, as her feature film debut. It tells the story of a young Sami girl who leaves her community because she is dreaming of a different life. But in order to achieve her goal, she must face racial, cultural and social prejudices. Watch the LUX Prize finalists - FREE ENTRY! 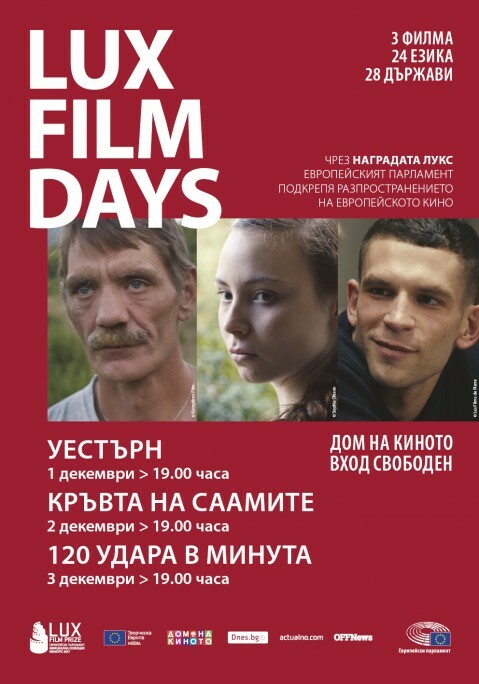 Within the framework of the traditional LUX Film Days in early December, the screening of the three finalists will be free entry - "Western", "Sami Blood" and "120 Beats Per Minute". They will be presented to the Bulgarian audience in seven different cities. 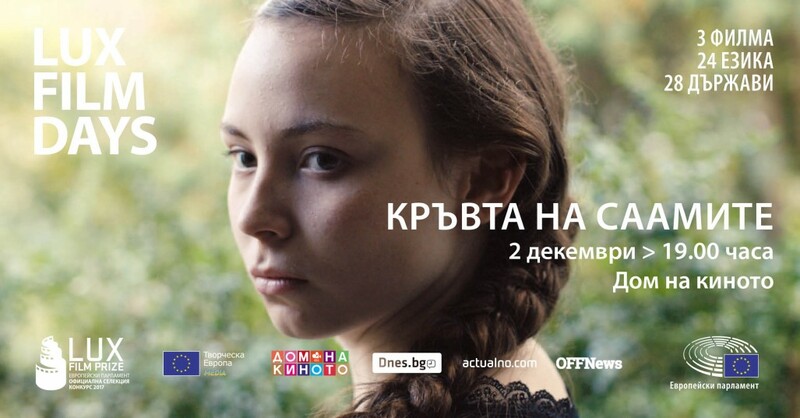 The events in Sofia, Plovdiv, Varna, Blagoevgrad, Pleven, Stara Zagora and Smolyan are organized by the EP Information Office in Bulgaria, and in partnership with Sofia Film Fest. The three films from the official competition of 2017 are the works of talented young directors. This selection is a wonderful and reliable proof of Europe’s cinematic traditions and the vitality of European cinema. 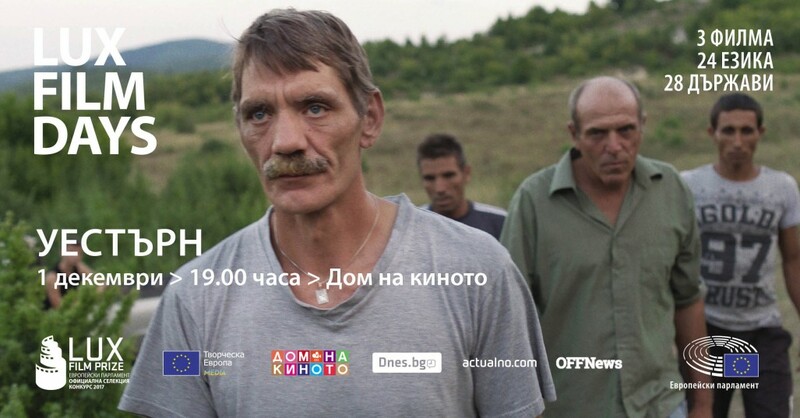 A group of German construction workers start a tough job at a remote site in the Bulgarian countryside. The foreign land awakens the men's sense of adventure, but they are also confronted with their own prejudice and mistrust due to the language barrier and cultural differences. The stage is quickly set for a showdown when men begin to compete for recognition and favour from the local villagers. The LUX European Film Prize aims to promote the diversity and richness of European cinema, as well as to promote European cinematographic productions that reveal the public concerns and the spirit of Europeans, their lives, their beliefs and doubts, their search for identity. Each year the European Parliament organizes LUX film days presenting the finalists in the competition program. The idea is to overcome the main barrier to European cinema - language, with films being screed for free and subtitled in all 24 official EU languages. We invite the audience to vote for their preference from the three movies on www.luxprize.eu or on the LUX FILM PRIZE Facebook page. 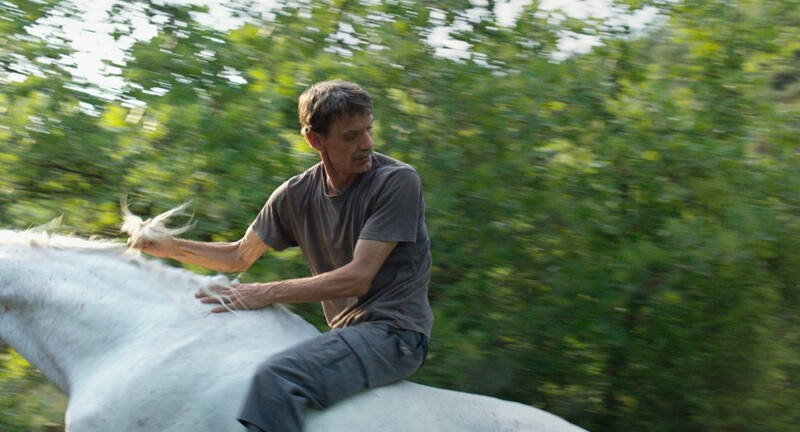 The results of the audiences’ vote are announced at the Karlovy Vary International Film Festival. One of the voters who is invited to attend the festival is chosen at random. Announcing the Special Prize to the audience symbolically conceals the LUX Prize for the previous year and opens the stage for the new one, listing the ten films from the official selection. The LUX Prize is a film prize that has been awarded by the European Parliament since 2007. It has two main objectives: to publicize the debate on Europe and to promote the distribution of European co-productions within the EU. Since its inauguration, the award has attracted the attention of Europeans every year to films that are at the heart of the European public debate. Beyond the stories they tell, these films raise important issues: the values we share as Europeans, how we deal with common cross-border issues such as immigration, justice, solidarity, public freedoms and fundamental rights. Each year the films are selected by film industry representatives who together form the jury. The three finalists are the result of their choice. 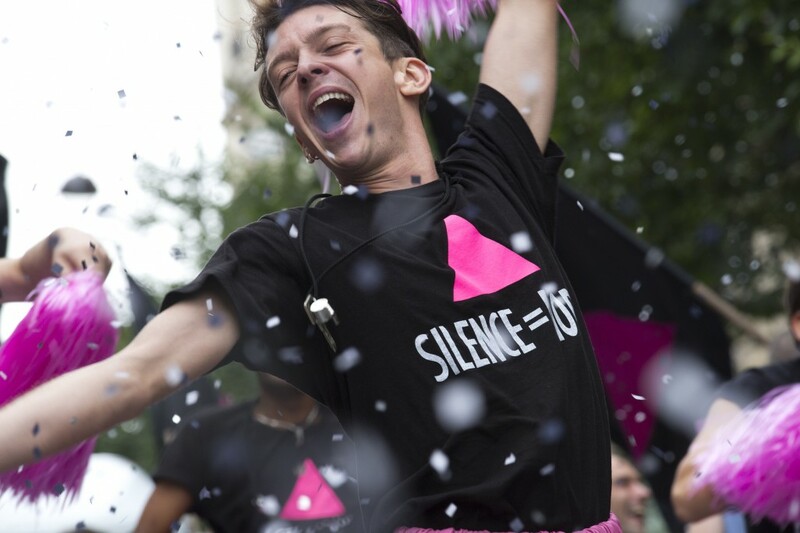 The film that wins the prize is chosen by the members of the European Parliament. From 2010, the "28 Times Cinema" project has been popularized by the LUX FILM PRIZE in collaboration with "Venice Days" and "Europa Cinemas" and supported by "Cineuropa". This initiative brings together 28 young cinema fans from all over Europe who take part in a special jury in Venice. They are between the ages of 18 and 25 and are present at the screenings, and have a commitment to participate in discussions about European cinema, also to present the prize. The 28 Times Cinema program includes the screenings of the three finalists participating in the LUX FILM PRIZE competition. 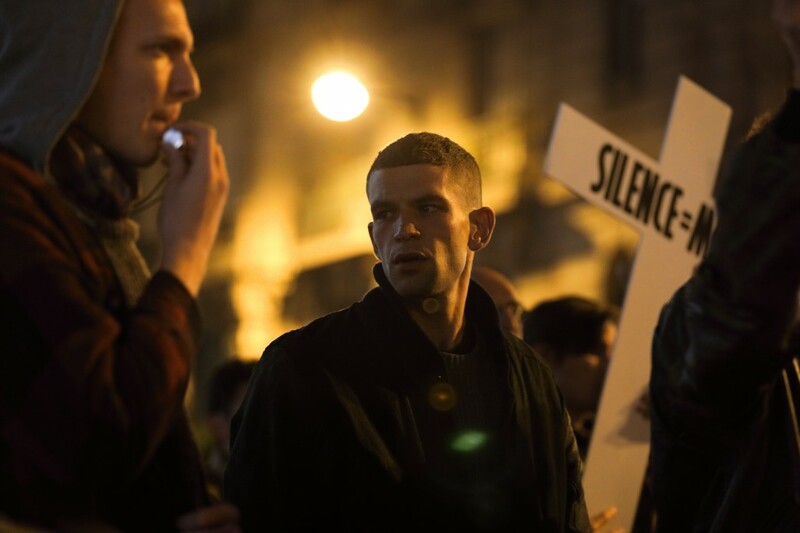 Expect more details on the SOCIAL NETWORK, on the LUX Prize website as well as on the sites of the EP Information Office in Bulgaria and the Sofia International Film Festival Film Fest.